Our February Character Education Theme is FRIENDSHIP! We will have a lesson on this very important theme on Wednesday! Math: We started Chapter 9 last week with rounding fractions and will continue this chapter this week with adding/subtracting like fractions, adding/subtracting unlike fractions, and estimating the sums and differences of fractions. We will have a quiz on rounding fractions, adding/subtracting like fraction , and adding unlike fractions on Wednesday this week. ELA: We will begin a new story this week “Nothing Ever Happens on 90th Street” and will write a TDA. Our focus skill continues to be Making Inferences with this lesson. Our vocab assessment for lesson 17 will be on Thursday. Social Studies: This week’s theme in Social Studies is the Bill of Rights! We will begin a poster project on the BoR and also learn about the voting process in the USA. Spelling: Lesson 19 will be tested on Friday 2/15. Lesson 20 (review packet which means EXTRA CREDIT PAGE) spelling packets will be due Feb 15th. Grammar: We will identify irregular verbs and contractions with NOT in them this week. Writing: We will write out TDAs for lesson 17 and create a valentine’s fictional story playing “Roll A Story”. Students may bring in Valentines for every one in the classroom if they choose (but this is NOT mandatory). If your child is bringing candy along with the valentines, please make sure its store bought and not chocolate. Any candy that is brought in will go home with the student. I will send home a class list of names at the beginning of the week. 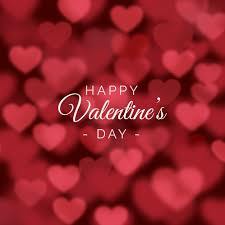 Remember- this is not mandatory- we do not have a Valentines Day Party in 5th grade but I do give them a few minutes at the end of the day on Thursday to exchange cards. Jessica Ayala on Baby Jack has arrived!